Why not use your body to heal itself? Platelet rich plasma (PRP) is a great way to promote healing within your own body without the use of synthetic medications. "One component of the blood stream is platelets. Platelets are cell-like particles that are smaller than red or white blood cells. These tiny platelets release a soup of growth factors at the site of injury. The help in the clotting process by sticking to the walls of the damaged blood vessels and plugging the rupture. The most important compound is PDGF or platelet derived growth factor, which causes stem cells (more on those in a minute) to be released from vessel walls and migrate to the site of injury. Physicians are able to take a small amount of a patient's blood, isolate and concentrate the platelets by spinning the blood in a centrifuge, and inject the growth factors they release directly into the injured area, where they promote the body's natural healing response." The injury prevalence in runners is between 19-79% according to various research articles. Of these, 50% are related to the knee. Any way you look at it there is a HUGE percentage of runners who are currently suffering with a running related injury. While the mechanisms of injury are unique to each situation and individual, no one can argue with the fact that having the right footwear can make all the difference to a new or veteran runner trying to avoid being sidelined by an injury. Check out the must read article at TrustedChoice.com where Dr. McMarlin and other experts provide you with the ins and outs of picking the right running shoe for you. Enjoy! Surgery is not your only answer. Dr. McMarlin discusses a huge range of available Sports Medicine treatments and how they may benefit your musculoskeletal injuries on Lowcountry Live. Can antibiotics cure chronic low back pain? Researchers from the University of Southern Denmark recently found that almost half of the cases of chronic lower back pain they saw could be successfully treated with a three month course of antibiotics. Several top European neurologists are calling the discovery a "turning point" in low back pain treatment. We will have to wait for additional research to replicate these amazing findings but for now, check out the link to this incredible story! The center for disease control (CDC) estimates that about 33% of adults over the age of 65 suffer with osteoarthritis pain. The non-steroidal anti-inflammatory pain reliever celecoxib (known by the popular name Celebrex) is commonly prescribed to treat the associated pain and swelling. A recent study including 606 subjects in four different European countries, however, showed the combination of glucosamine and chondroitin to be just as effective as the prescription medication celecoxib in treating the condition. This is important especially considering NSAID may cause negative side effects in some patients. Winning Health in the News! Mount Pleasant Magazine has written an article introducing Winning Health and Dr. McMarlin. Follow the link to learn more about us! Below are the winners to the Golden Nugget SUP race. Please call our office, 843-471-0375, to claim your prize. Thank you to all who participated and the above Businesses for contributing. Remember to call Winning Health for all of your musculoskeletal needs! 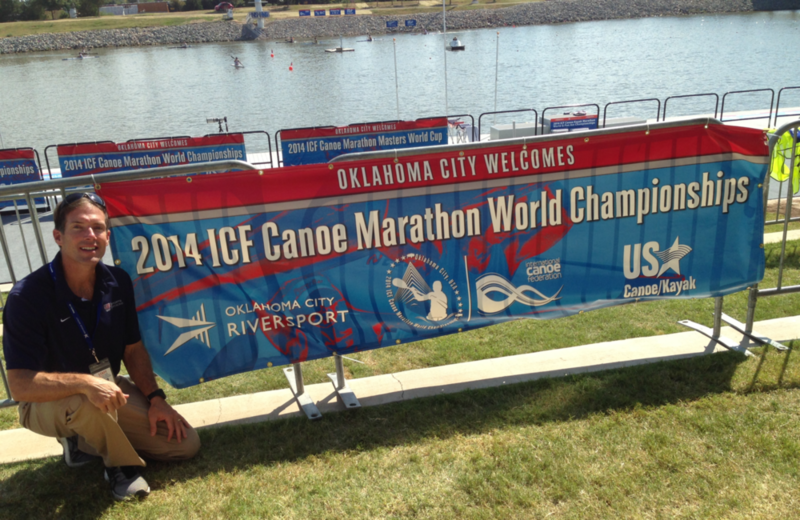 Dr. Andy McMarlin of Winning Health Sports Medicine is in Oklahoma City this week as team physician for the USA Canoe & Kayak teams at the 2014 World Marathon Canoe/Kayak Championships. The US is hosting event at the newest US Olympic Team training center, The Oklahoma High Performance Center.